In a few days time, Japan will enter a new era. This presents an opportunity to look back over the last 30 years. 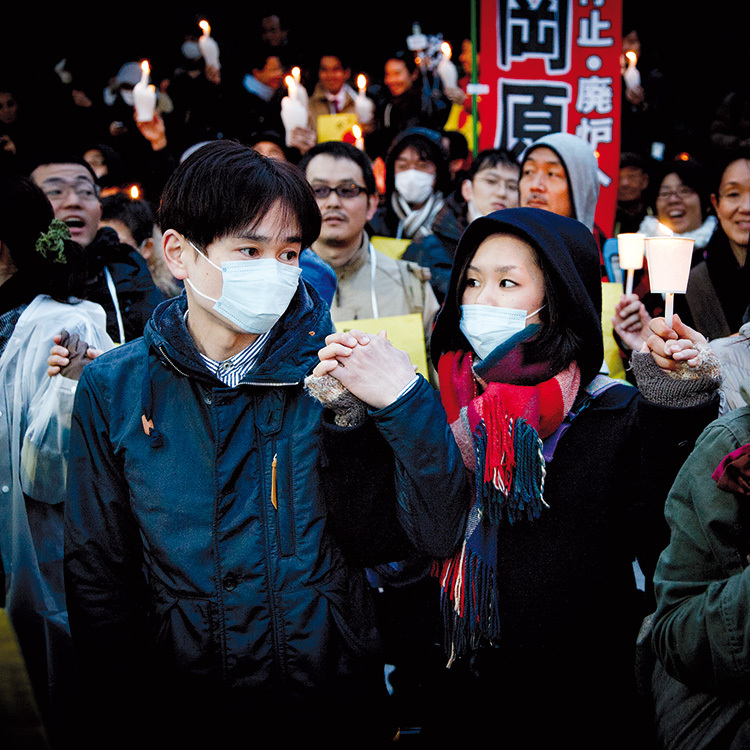 On 11 March 2012, one year after the tsunami that led to the Fukushima power plant disaster, thousands of Japanese demonstrated against nuclear energy. When, in 1989, the Japanese government announced the name of the new era – Heisei, which can mean “achieving peace” or “peace everywhere” – one of the country’s leading newspapers, the Mainichi Shinbun, conducted a survey of the public’s opinion of the new era’s name. Some 75% of respondents found it “bright”. Coming after the tumultuous Showa period (1925-1989), everybody hoped it was the beginning of a better future. However, 30 years later, when another newspaper, the Asahi Shinbun, asked people how they viewed the soon-to-be-over era, only 5% of respondents said it had been “bright”, while 42% believed it was “troubled” and 29% said it was “stagnant”. Indeed, much of the Heisei era has been politically unstable, characterised by many short-lived cabinets – with seven prime ministers in the first ten years and 13 in the first 20. only koIzuMI Jun’ichiro (April 2001-September 2006) and the second ABE cabinet (December 2012 to the present) have been noteworthy for their longevity. In such conditions, many governments found it hard to implement any meaningful polices to address Japan’s big problems. In a sense, the big news was that the conservative Liberal Democratic Party (LDP), which had ruled Japan since 1955, began to crack under the weight of a string of political and financial scandals. In 1993 for instance, the party split and a non-LDP coalition formed a cabinet led by former LDP member HOSOKAWA Morihiro. More significantly, the Democratic Party of Japan (DPJ) had three consecutive prime ministers between September 2009 and December 2012. On the other hand, it must be noted that all the parties which led non-LDP cabinets (Hosokawa’s Japan New Party, HATA Tsutomu’s Japan Renewal Party and the DPJ itself) were all formed by former LDP members, showing a certain continuity in the way politics was done in Japan. That said, after winning 308 seats in the lower house election in 2009, the DPJ tried to challenge the LDP’s traditional domestic and foreign policy. In particular, HAToyAMA introduced new social benefits for families, greatly increased the education budget and expanded welfare. He also tried to distance Japan from its close postwar relationship with America by developing a more Asia-focused approach and warmer relations with China, as well as exploring options for limiting the u.S. military’s use of Japanese bases in emergency situations. KAN Naoto’s cabinet responded to the 2011 triple disaster by reversing the LDP’s pronuclear policy and pushed for a conversion to renewable energy. The government eventually shut down all nuclear power plants, leaving Japan without nuclear-generated electricity for the first time since 1970. The Heisei period saw a prolonged fight between the media and the political establishment. Though often accused of being too submissive towards the government, in reality, newspapers and TV broadcasters were active during the first decade in promoting greater transparency, exposing a number of political scandals and changing the way people viewed the authorities. They also forced them to reassess the country’s past, particularly concerning wartime atrocities and such issues as the Comfort women. In 2009, the ruling DPJ further contributed to this trend of strengthening the media’s role as watchdog when they began to allow journalists from magazines, websites, foreign media and freelancers to attend regular press conferences – a practice which was previously the exclusive privilege of mainstream Japanese media. The move propelled Japan – which until then had been languishing at no. 51 in the global index of press freedom – to no. 12. Even in terms of foreign policy, some of the national dailies and other news media continued their traditionally dove-like emphasis on restraint, mirroring people’s opposition to a more active role for the military (e.g. contributing personnel to uN peacekeeping operations). Unfortunately, when the LDP returned to power in late 2012, hawkish prime minister ABE Shinzo began to undo all the reforms of the past few years, constantly attacking anyone – but targeting the Asahi Shinbunin particular among newspapers, and even the national public broadcaster NHk – every time they dared criticise the government on such issues as nuclear power, contested territory, and the disputed history of world war II. As a result, Japan fell as low as 72nd place (out of 180) in the 2017 index (in 2018, it gained five places and rose to no. 67) as a country where all too often the media as a whole is forced into colluding with politicians, which discourages antiestablishment reporting, while encouraging selfcensorship instead. From 2012, voters have stuck by ABE, hoping that his Abenomics economic policy would end deflation and the country’s prolonged recession. In the last six years, the LDP leader has exploited his position of power, strong majority in the National Diet, and a much weakened political opposition in order to reopen a number of nuclear power plants and pursue his conservative agenda. one such example is the State Secrecy Law. Promulgated in 2013, this law allows the government to lock away sensitive documents for 60 years. Civil servants leaking information can be punished with up to ten years in prison and a fine of up to 10 million yen while journalists helping them will get five years. The law was criticised by hundreds of academics and several Japanese and international organisations including Human Rights watch, the Federation of Japanese Newspapers unions and the Japan Federation of Bar Associations for being a serious threat to whistleblowers and even journalists reporting on secrets. ABE’s other major preoccupation has been the promotion of Japan as a military power. At the start of the Heisei era, the government had pledged billions of u.S. dollars for the Gulf war, but constitutional constraints had prevented participation in the war itself. In 2003, prime minister koIzuMI Jun’ichiro approved a plan to send about 1,000 soldiers of the Japan Self- Defence Forces to help in Iraq’s reconstruction, the biggest overseas troop deployment since world war II without a united Nations’ mandate. Finally, in 2014, the ABE cabinet announced a revision of the country’s defence policy. This was not achieved by revising the Constitution – which has never been amended in its 72-year history – but, instead, by reinterpreting its principle of minimum necessary force, which continues to limit the scope of Japan’s permissible actions toward collective self-defence. This means that Japan can now engage in military action if one of its allies were to be attacked. This move, according to ABE, was necessary to “strengthen mutual cooperation with the united States”. According to many analysts, the country is heading in a dangerous direction, as it is seeking new defence capabilities that exceed the limits of its pacifist Constitution. This and similar actions by the government, combined with a growing popular dissatisfaction with political parties and the clumsy way in which the authorities have dealt with natural disasters (such as the 1995 and 2011 earthquakes), corruption and the Fukushima nuclear accident, have encouraged people to play a much more active role in society. As a consequence, the last 30 years have been characterised by the creation of many NGos and NPos whose purpose is to provide the kind of grass-roots presence and help that the authorities sometimes fail to provide quickly enough. The post-Fukushima years have also seen more and more Japanese take to the streets to protest questionable government policies such as the State Secrets Law, and the connivance between the LDP and big business. Meanwhile Emperor Akihito, who is about to abdicate, worked all through the Heisei era to confront the country’s dark wartime past, and has expressed his respect for Japan’s pacifist Constitution, becoming in the process a new kind of symbol for the Japanese nation. Copyright © 2019 aConcept All rights reserved.